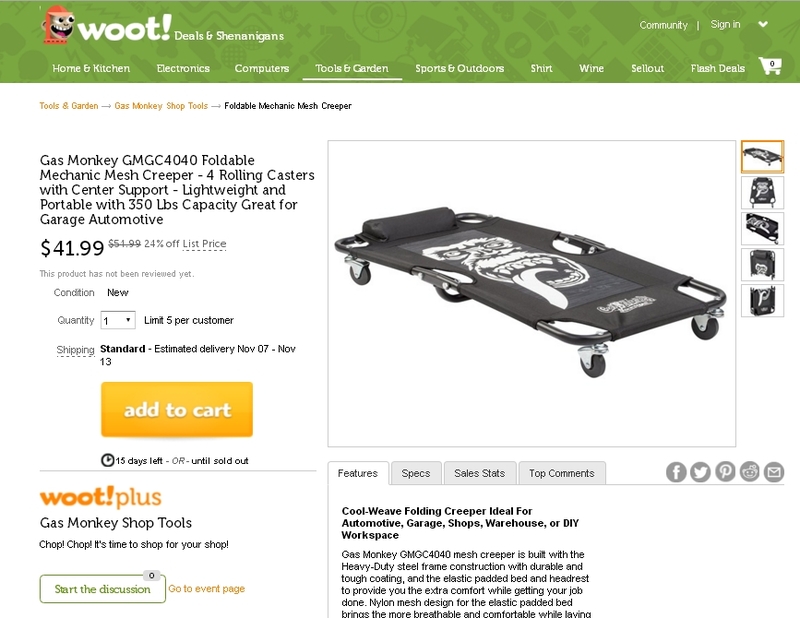 $41.99 gas monkey Foldable Mechanic Mesh Creeper - (vs. $46.74) at Woot! Jeffrey Young Product deal validated, it is active, the product is in stock and the price is the same. Good deal. manuel santamaria "I am validating that this deal works as described. 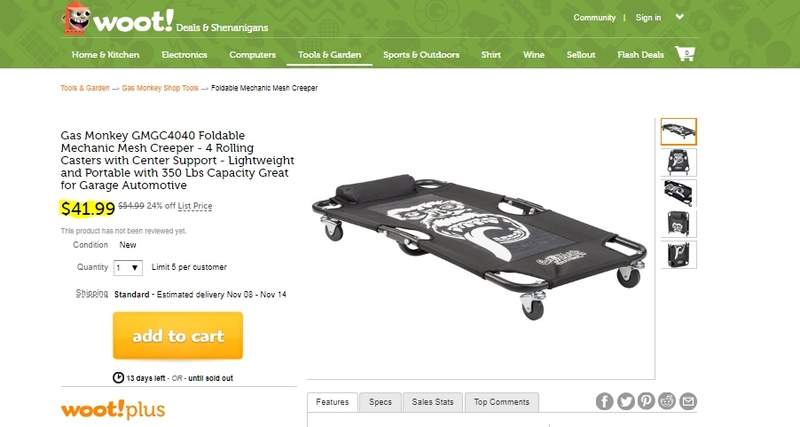 Enter code and Get $41.99 gas monkey Foldable Mechanic Mesh Creeper - (vs. $46.74) at Woot!. This is a limited time offer"
Ismael Lista Excellent offer for a foldable mechanic mesh creeper 4 rolling casters with center support, lightweight and portable with 350 Lbs. it´s a great deal Nylon mesh design for the elastic padded bed brings the more breathable and comfortable while laying underneath the car. Weather Resistant, Lightweight, Washable, and Breathable Cool Weave Fabric Provides Extra Comfort. With the foldable and lightweight design, it can be easily transported and stored.